Happy New Year! As we begin 2018, I'm happy to offer you this special edition of Our Valley News as a way to remember what made 2017 so special in our city. Last year was unique, exhilarating and challenging. Some of the marquee highlights happened in the world of sports. Not only did the Dodgers make their first World Series appearance in 30 years, the City Council made history by authorizing Los Angeles to host the 2028 Summer Olympic Games. In my role as Budget and Finance Chair and as a member of the Ad Hoc Committee on the Olympics, I worked to protect taxpayers' interests now and in the future. If I had to distill 2017's flurry of activity into one theme, it would be "the year of standing up for Angelenos." Locally, we did this by working with community members and business leaders to build our local economy, shore up the city budget, tackle homelessness, upgrade parks and increase public and traffic safety in our communities. In 2017, the economy grew in Council District 2, with wages rising nearly five percent and economic activity up 10 percent. My office brought LA's first Costco Business Center to North Hollywood and broke ground on NoHo West, the commercial-residential project at the old Laurel Plaza site that will reinvigorate the area and bring hundreds of good jobs to the East Valley. The City Council's Jobs Committee, which I chair, rolled out our citywide job creation plan and studied the possibility of creating a municipal bank in Los Angeles. 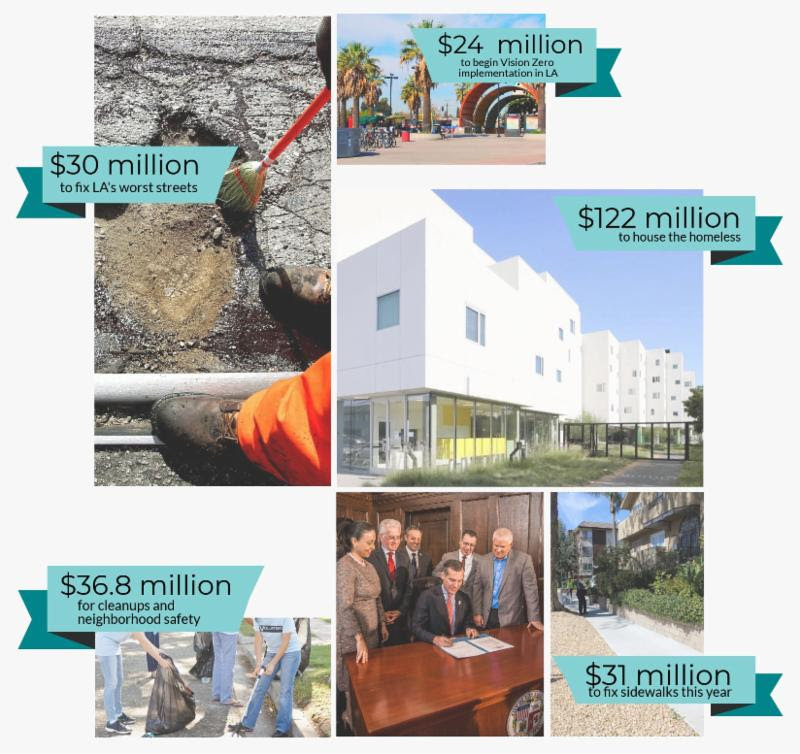 These economic successes informed our positive budget movement, as the $9.2 billion city budget reinvested in services and included a reserve fund far larger than it was a decade ago. The budget put more firefighters and police officers on our streets and expanded funding to stop domestic violence, eliminate traffic fatalities and prevent homelessness. On the issue of homelessness, I worked to ensure that voter-approved funding was used to alleviate the problem, opened permanent supportive housing units in the Valley, hosted more Homeless Connect days than anywhere else in the city, and launched LA's first pilot program to pair job training with shelter and get people off the streets. Street and sidewalk safety also commanded my attention. Safe Sidewalks LA, the city's sidewalk repair program, got off to a smooth start, granting home and business owners a rebate for repairing walkways, while more sidewalks got fixed at parks, libraries and recreation centers. I launched the Safer Streets initiative to fix dangerous roadway conditions and protect cyclists and pedestrians. Working with the Los Angeles Department of Transportation, we updated speed surveys so that LAPD can enforce speed limits on neighborhood streets. My office also organized some of the best cultural events in the region. The new NoHo Summer Nights concert series invigorated North Hollywood Park with live music, art and movies, and I partnered with neighborhood and business groups to organize street fairs, block parties, art festivals and film screenings throughout Council District 2. 2017 wasn't just about standing up for communities by expanding services, it was also about standing up for our values and protecting everyone who lives here. With a new administration in Washington that put Los Angeles in its crosshairs, we took responsible measures to protect our finances and residents. One of the first events I attended in 2017 was the massive Women's March, where my family and I marched with 500,000 women and men who believe in preserving individual rights and achieving equality. Shortly thereafter, the City Council reaffirmed our support for immigrant residents, backed the Paris climate accord and rejected all attacks on the Muslim community. This new era has also shed light on the pervasiveness of unacceptable workplace behavior, and I proudly led the charge for the City of Los Angeles to reform its sexual harassment policies to make them more victim-friendly. More than ever before, I am proud to be an Angeleno, a Valley resident and your representative at City Hall. Although we've weathered political uncertainty on the national stage, and encountered wildfires, sinkholes, flooding and other challenges locally, I remain optimistic about our shared future and that of the city we call home. In 2018, I will continue fighting for you, your family and your neighborhood to make Los Angeles an even better place for all of us to live, work and thrive. A decade after the beginning of the Great Recession, Los Angeles has turned things around, and in the 2017-2018 budget, Councilmember Krekorian worked hard to put the needs of Angelenos first. The City Council added money to increase public safety, bolster homelessness programs and improve transit, while also prioritizing the delivery of neighborhood services that made our communities better places to live. Some of the community highlights include $2 million in funding to remove graffiti within 24 hours of it being reported, a doubling of the Department of Recreation and Parks free recreation programs for girls to promote equity in sports, funding for dozens more park maintenance workers to keep our public spaces clean, an expansion of LA's Best to serve 1,000 more public school students, funding to help Animal Services make LA a no-kill city, funding that helped create jobs for 15,000 young people, and a new initiative to make the city more accessible to seniors with varying needs and capabilities. Below is a snapshot of how Los Angeles is restoring neighborhood resources and services. In 2017, Councilmember Krekorian's Job's Committee discussed the feasibility of creating LA's own municipal bank. The proposal seeks to determine whether Los Angeles can create a state-chartered public bank that could provide banking services, and reinvest in LA's communities, primarily through the acquisition, construction, and rehabilitation of affordable and workforce housing, utilizing deposits and providing financial services to local businesses. Los Angeles also launched a new online portal that will help maximize the value of city property, and more efficiently provide options for affordable housing, homeless service facilities and other priorities. The comprehensive, searchable property database enables staff to manage city property more effectively, and allows the public to track the development of community assets, like police and fire stations, libraries and public parks. 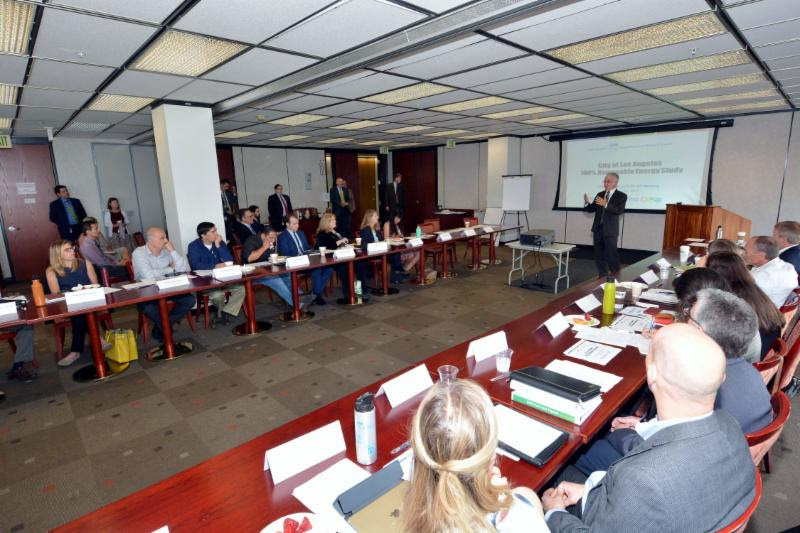 Councilmember Krekorian also led a conference with city officials and business leaders to identify development possibilities in Los Angeles that connect public infrastructure opportunities with the private sector to design, build, finance, operate and maintain development projects. The conference was part of Krekorian's push to use and enhance creative models for the city to spur job growth and economic activity. In an effort to cut the red tape for Los Angeles businesses, Councilmember Krekorian introduced several motions to help small businesses flourish. He instructed the Board of Public Works and the Bureau of Sanitation to review permit charges for small craft breweries in Los Angeles and how to better assess costs based on the brewery's size. The Jobs Committee also took up a plan to streamline the process for on-site alcohol sales for small businesses, including restaurants, theaters, hotels and small beer manufacturers. 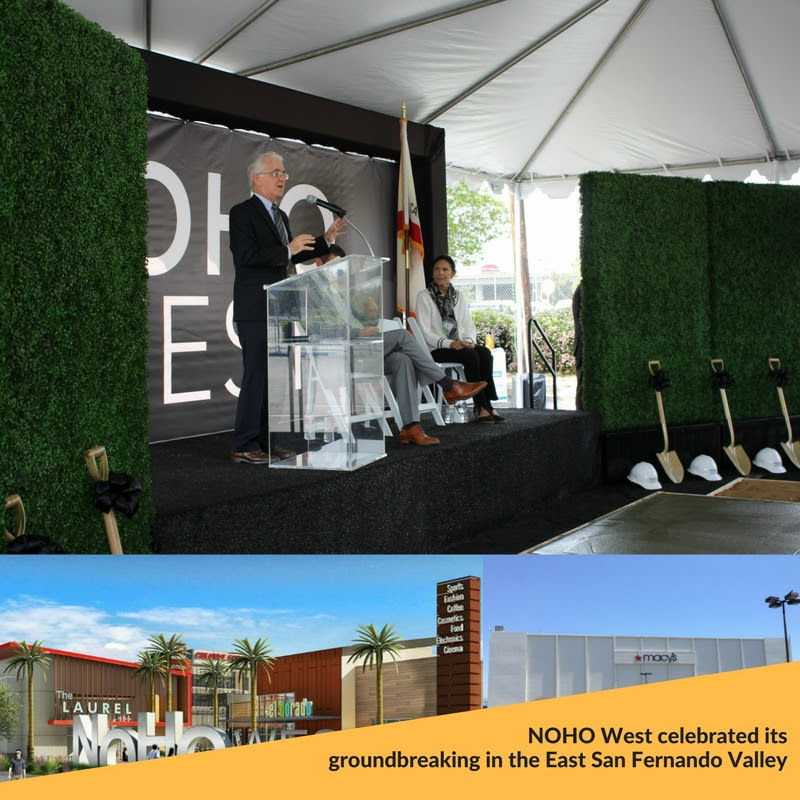 NOHO West broke ground in 2017 to much excitement and fanfare in the East Valley community. The development, a fantastic mixed-use project on the old Laurel Plaza site, will bring 327,850 square feet of new restaurants, vibrant shops, a movie theater, a grocery store, a fitness center and much more, in addition to 244,150 square feet of new, state-of-the-art office space to support hundreds of high-paying entertainment and tech jobs. NOHO West will provide a near-perfect balance of commercial energy and residential opportunity and be a catalyst for the entire area to blossom. NOHO West is slated to open by fall 2019. Los Angeles is facing a homeless crisis greater than we've seen before. In 2017, the City Council dedicated a total of $176 million -- more funding than ever before -- to fight homelessness. And LA has already started to use that money, taking necessary steps toward mapping out permanent solutions. In 2017, the city partnered with government agencies and community organizations on short- and long-term fixes, like connecting homeless individuals with services, finding ways to mitigate the impacts of homelessness on residential neighborhoods, and getting more affordable and permanent supportive housing units built throughout Los Angeles. In Council District 2, Councilmember Krekorian pushed for more services to the unsheltered by launching a pilot program to pair job training and housing, created more permanent supportive housing units, worked in partnership with nonprofit and governmental agency service providers, and took action to protect residential neighborhoods from homeless encampments and blight throughout the East Valley. 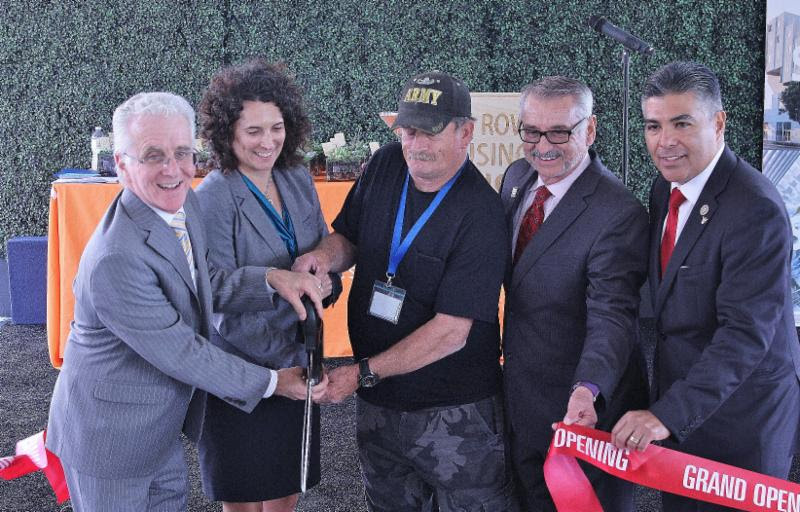 Councilmember Krekorian joined the Skid Row Housing Trust for the grand opening ceremony of a new permanent supportive housing project for the formerly homeless, people living with disabilities and veterans. Crest Apartments, designed by award-winning architecture firm Michael Maltzan Architecture, Inc., is made up of 64 studio apartment units for residents who qualify for permanent supportive housing. The development offers an array of services, including on-site residential service coordinators and case managers, and connections to local service organizations that provide an expansive assortment of additional services. 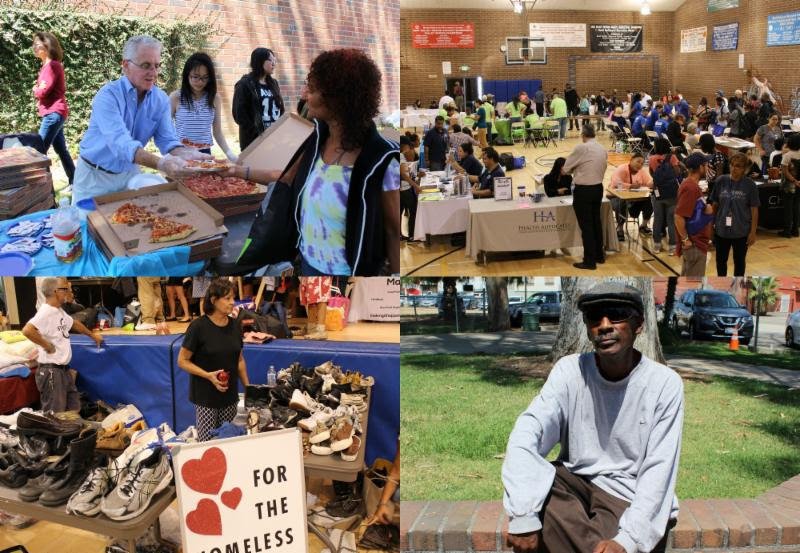 Councilmember Krekorian hosted multiple days of service for homeless individuals across Council District 2. His Homeless Connect Days are one-stop shops for resources to connect city, county, state and nonprofit agencies to homeless individuals. Hundreds of people attended the events in 2017, all of whom were introduced to and served by local service providers. People received showers, haircuts, blankets, clothing, pet care, hot meals and were connected with housing, the DMV and other social services they need to get by. Working hand in hand with community members, neighborhood councils, and other local partners to remove blight from neighborhood streets, Councilmember Krekorian held more than a dozen community cleanup events throughout 2017 and worked with the Bureau of Sanitation to remove 313 tons of bulky items in the East Valley. 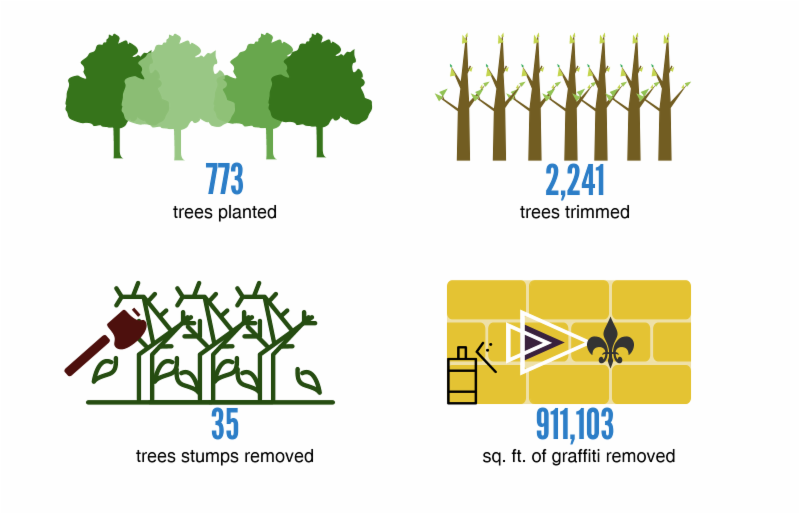 Krekorian also beautified Council District 2 communities by planting and trimming trees, and efficiently removing tree stumps and graffiti. The Los Angeles Department of Water and Power recently hit a major clean energy milestone when it achieved the state-legislated goal of 25 percent of all energy retail sales coming from renewable energy. Thanks to the completion of the 250-megawatt Moapa Southern Paiute Solar Project and several other new large-scale solar facilities, LA has been receiving clean power since the end of 2016. This year, the LADWP also convened its first inter-agency working group meeting to study LA's roadmap to 100 percent renewable energy. Councilmember Krekorian, who authored the nationally-hailed City Council motion on renewable goals with Councilmember Mike Bonin, joined LADWP General Manager David Wright, energy experts, local partners, environmental activists and others to discuss the roadmap to 100 percent clean energy in LA. From new bathroom facilities, irrigation and shade structures to new synthetic soccer fields, East Valley parks saw major upgrades in 2017. At Valley Glen Community Park, the LADWP and the Dept. of Recreation and Parks completed major sustainability improvements to conserve water and update the park's irrigation system. Other improvements include adding new California-friendly plant material, decomposed granite paving, wood bark and mulch covering, re-seeded natural grass and new landscape accent boulders. The first phase of Whitsett Sports Fields Park's extreme makeover also finished last year. The park has one brand new full-size synthetic turf soccer field, two smaller soccer fields, an expanded parking lot, more trees, and new walkways and water fountains between the fields to make the park safe and inviting for our kids. The synthetic fields reduced the park's water usage and improved the playing experience for everyone. 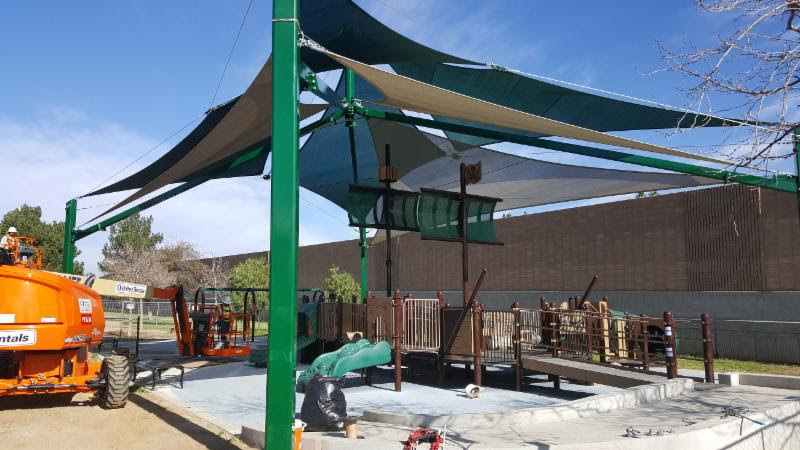 In addition, new shade structures and other amenities were added to both Sun Valley Park and the Whitnall Off-Leash Dog Park in NoHo. And this month, Wilacre Park in Studio City will have a fully-functioning, private and modern restroom facility for park goers, an updated parking lot, and improved access to picnic tables to ensure nature lovers of all abilities are offered the same opportunity to enjoy the park. Last year, city leaders showcased miles of newly repaired sidewalks in the Valley, some of the dozens of locations that have been fixed since the launch of the city's Safe Sidewalk LA program. Councilmember Krekorian led a three-year effort to create the city's sidewalk repair program, which includes a $1.4 billion commitment to repair the city's broken sidewalks over the next 30 years. Right now, sidewalk repairs are happening in residential and commercial neighborhoods. Homeowners and commercial property owners can take advantage of the Rebate Program, a limited-time, cost-sharing program that provides with a maximum of $10,000 for residential and commercial property owners.Angelenos can also request sidewalk repairs through the Access Request Program. This program takes complaints and makes repairs requested by people with a mobility disability who encounter physical barriers, like broken sidewalks, missing/broken curb ramps or other problems in the public right of way. 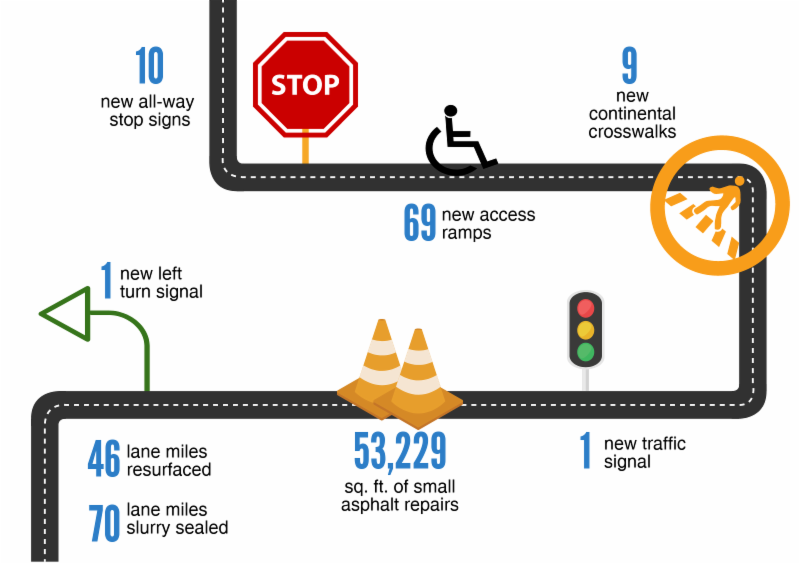 As part of an ongoing push repair aging infrastructure and build better, and safer streets, Councilmember Krekorian directed hardworking Bureau of Street Services crews to repave several major corridors throughout the East Valley in 2017 as well. With hard work and diligence, sometimes a challenge can turn into an unexpected opportunity for improvement. That's what happened when a sinkhole emerged in Studio City last year. In February, emergency crews rushed to the scene to rescue a woman from her car. The vehicle was trapped in a large, dark sinkhole filling quickly with rushing water. The cause of the sinkhole was a collapsed sewer main below the street and the severe winter storm was the catalyst. Due to the city's rapid response, no one was seriously hurt by the sinkhole. The Dept. 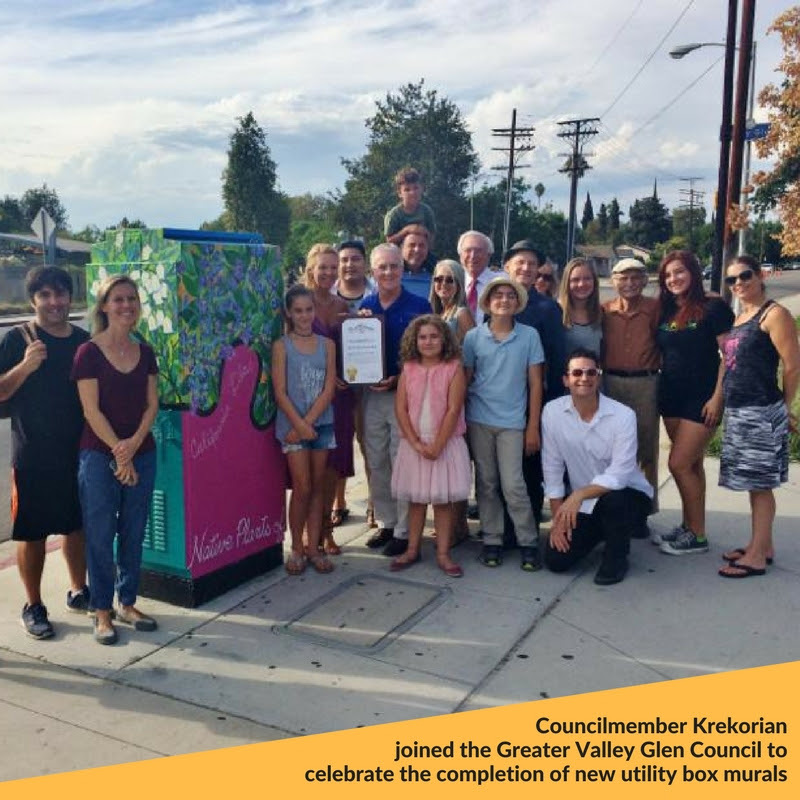 of Public works, led by the Bureau of Sanitation, the Bureau of Engineering, and Contract Administration worked with Councilmember Krekorian, LADOT and other city agencies to repair it and mitigate the traffic and other negative impacts to the Studio City community. 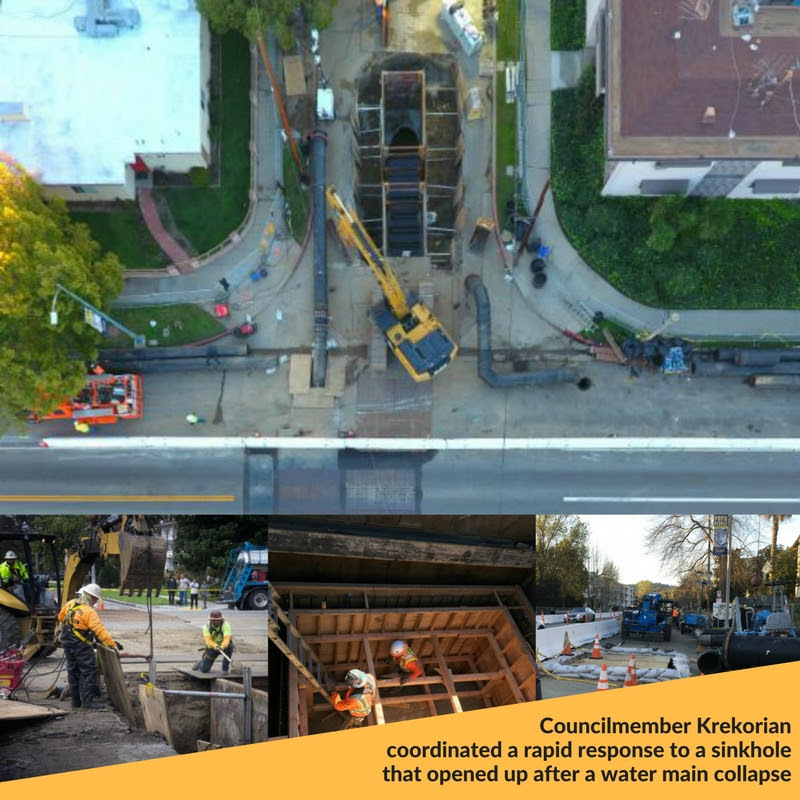 Thanks to the community's incredible patience, the coordinated effort by city departments, and the hard work of city crews, work on the sinkhole was completed in a timely manner and the Studio City neighborhood is now safer than it was before. Councilmember Krekorian launched the "Stop Texts, Stop Wrecks" citywide public awareness campaign in partnership with the Ad Council, the Los Angeles Police Department and the Department of Transportation. Continuing into this year, 360 city buses will feature large ads on the inside and outside with this message: "Make Sure You Arrive. Just Drive: Stop Texts, Stop Wrecks." Each year, nearly 400,000 people are injured by drivers who take their eyes off the road. Another 10 Americans die each day in collisions caused by distracted drivers. The campaign aims to raise greater awareness about the dangers of distracted driving. 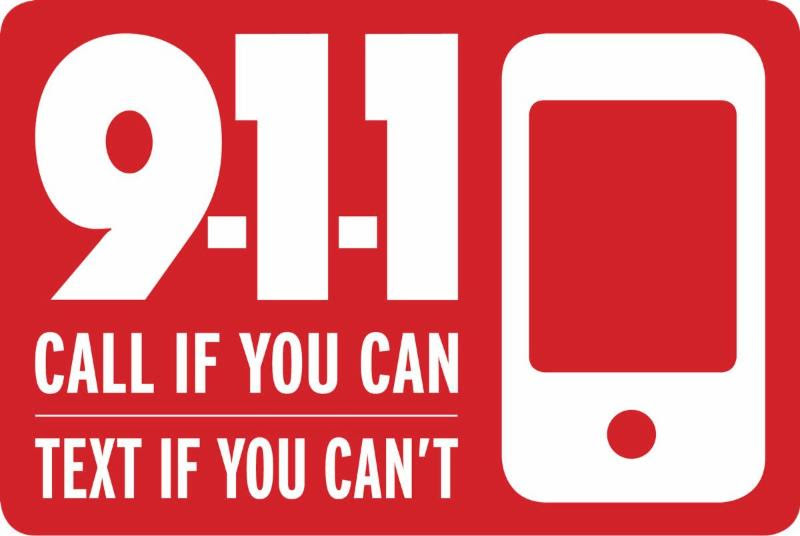 Mobile users in the City of Los Angeles now have the ability to send text messages to 9-1-1, giving hearing and speech impaired residents, or those in situations where it is too dangerous to dial 9-1-1, a potentially life-saving option. With the city going live, nearly all mobile users throughout LA County are covered by the technology. Three years ago, Councilmember Krekorian introduced a motion to see if Los Angeles could improve its emergency response system by bringing Text to 9-1-1 to Los Angeles. Thanks to industrious work by the Los Angeles Police Department, the city did it in 2017. The City Council approved Councilmember Krekorian's proposal to create an anonymous tip line and reward system for Los Angeles residents to report individuals who illegally possess firearms and assist the police department in confiscating illegal firearms from people who are prohibited from owning or possessing them. The tip line will offer residents a reward for anonymous tips on people who illegally possess firearms. In addition to raising awareness about who is prohibited from owning or possessing firearms, this program will aid in enforcing California laws and helps get guns off the street and out of the hands of known criminals. 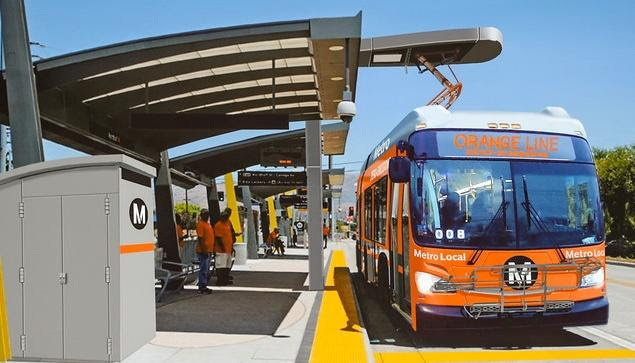 The San Fernando Valley's Metro Orange Line is slated to undergo major improvements to make the bus rapid transit line more appealing and useful to riders and the community. 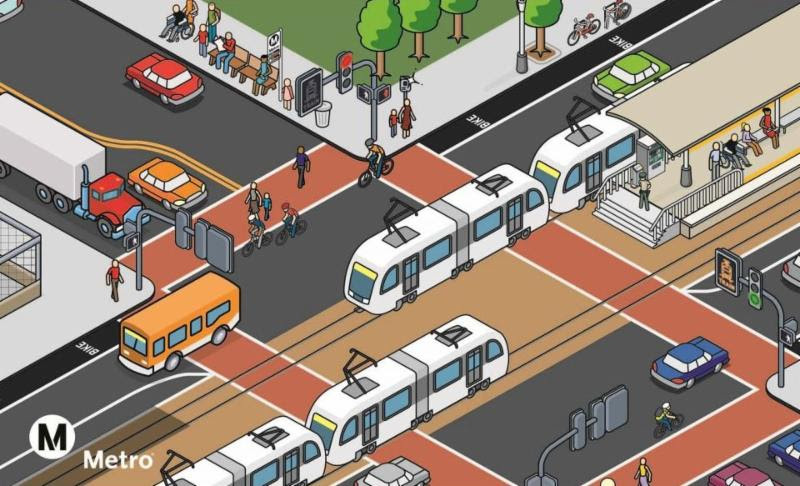 In 2017, the Metro Board of Directors, led by Councilmember Krekorian, began studying several changes to the popular Valley line to decrease travel times, add late night service, improve grade crossings at intersections and introduce zero-emission buses. The transit agency also started working to convert to an all-electric Orange Line bus fleet in 2020. Metro has ordered five 60-foot articulated electric buses to test on the Orange Line. These buses will initially be used with the existing fleet of compressed natural gas-powered buses. Once the pilot program is complete, a larger order of buses will be made to replace the remaining buses with the zero-emission fleet. Additionally, Metro began studying a plan that recommends building a new one-mile long bridge between Sepulveda and Van Nuys boulevards and installing 34 railroad-style crossing gates along the Orange Line between North Hollywood and Chatsworth. Metro moved forward on a proposal to accelerate Measure M transportation projects for LA County residents in 2017. 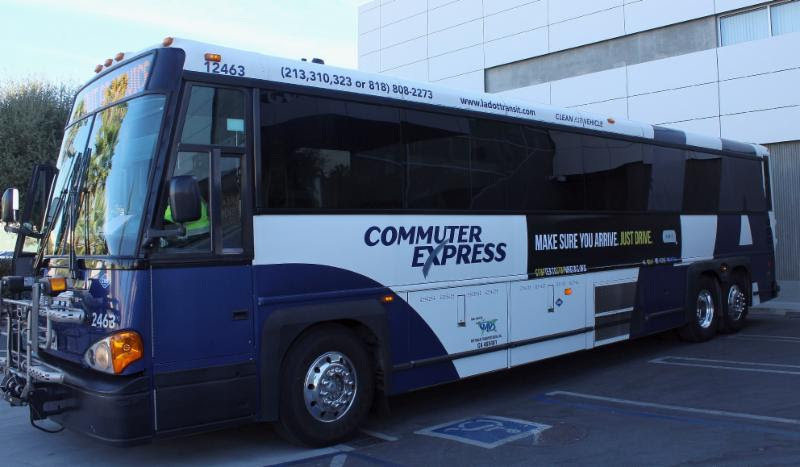 The projects include the Sepulveda Pass Transit Corridor, the West Santa Ana Branch Transit Corridor and the extension of the ExpressLanes network. The plan includes seeking public-private partnerships to deliver the projects faster and more efficiently. Metro also embarked on a three-year study to reimagine and restructure the region's bus system. The study will look at the system's 170 bus lines, 2,200 buses, and 15,000 stops. The bus system study will begin January 2018 and is planned for completion by April 2019, when researchers will present their findings and recommendations, followed by public hearings and consideration by the Metro Board. In addition, last year, the Metro Board of Directors voted to advance the North Hollywood to Pasadena Bus Rapid Transit project into environmental review to consider two viable options that will provide an important regional transportation link between the San Gabriel and San Fernando Valleys. 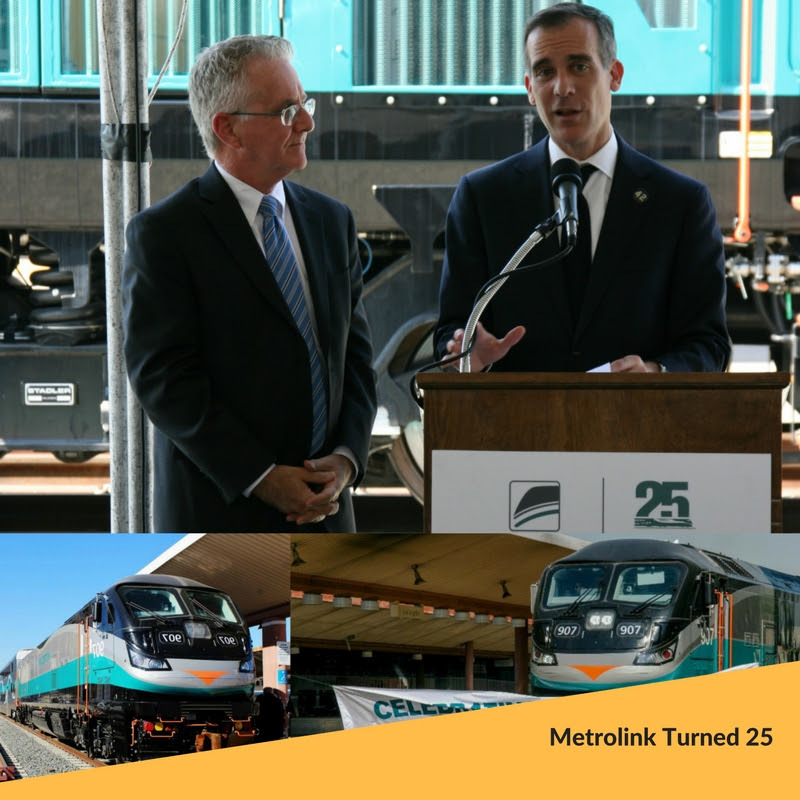 Last year, Metrolink, Southern California's commuter railroad agency, celebrated its 25th anniversary. Metrolink operates a 538-route-mile system that travels through six counties, including Los Angeles, and serves 400 million passengers each year. Metrolink also unveiled its brand new clean power engine, the Tier 4 locomotive. This state-of-the-art locomotive is the cleanest, most powerful and safest diesel engine operated by any major commuter rail agency in the nation. The new locomotive is equipped with the latest in train safety technology, including positive train control and a crash energy management system, which absorbs the energy in the event of a collision. In addition to major improvements to its fleet, Metrolink is constructing the new North Metrolink Station at the Hollywood Burbank Airport. 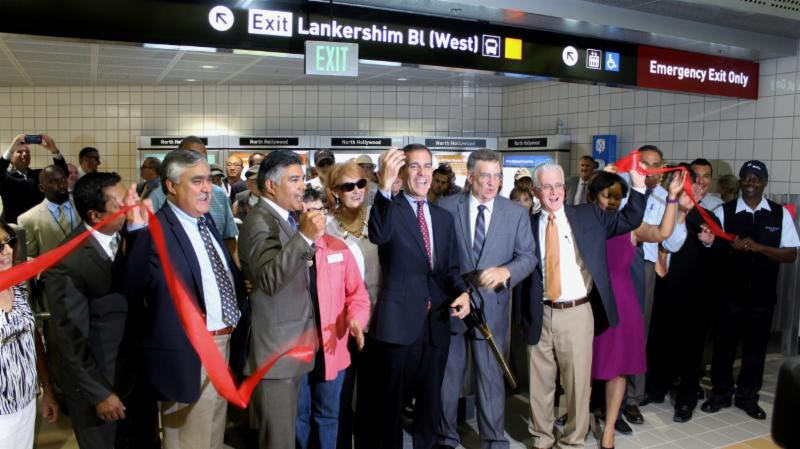 Councilmember Krekorian serves on the Metrolink Board of Directors. Serving the diverse East Valley communities of Council District 2 is the primary function of Councilmember Krekorian's office. From hosting community events to taking requests for graffiti cleanup and blight, the District 2 team is dedicated to staying closely engaged on all the issues -- keeping the community well-informed and addressing their needs. Last year, Councilmember Krekorian held more than 142 community meetings and 54 events for the East Valley community. 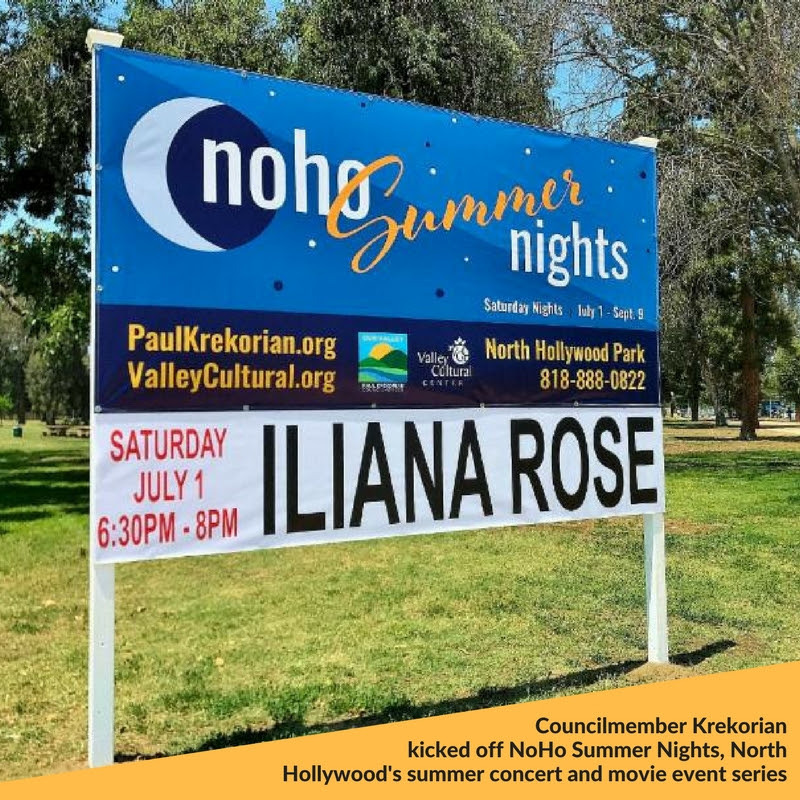 Among the many 2017 happenings were NoHo Summer Nights -- the summertime concert and movie series sponsored by Krekorian -- movies in the park, Experience NoHo Plaza, LACMA in North Hollywood, the Emergency Preparedness Summit and the Holiday Food and Toy Drive. 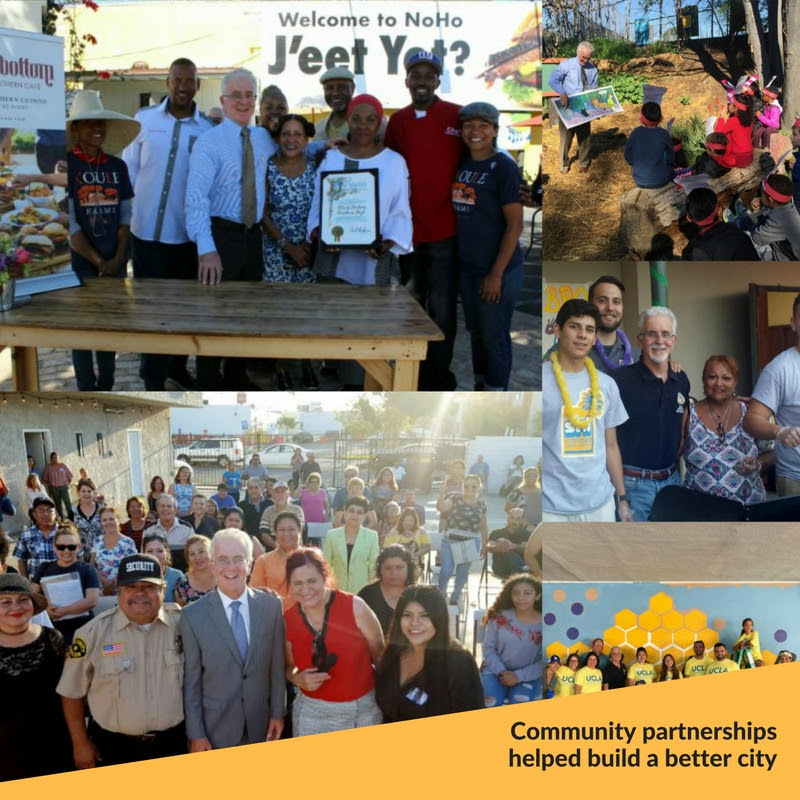 Councilmember Krekorian looks forward to bringing more community experiences to residents in 2018. 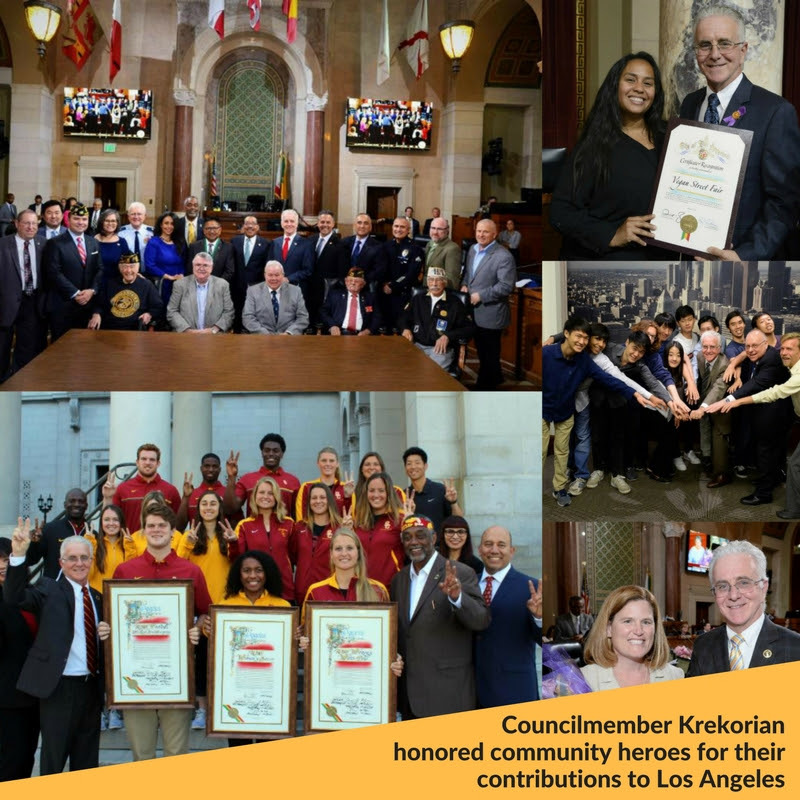 In 2017, Councilmember Krekorian honored community leaders and organizations for their tremendous contributions to the city. Among the many highlights were awards for veterans, the women and LGTBQ leaders of Los Angeles, the Vegan Street Fair, the North Hollywood High Science Bowl winners and Cyber Patriots, USC's championship sports teams, motion picture scenic artists, filmmakers behind the motion picture the "The Promise" and a slew of others.